Our previous post discussed the advances in facial recognition for travel and security applications. Another eagerly anticipated application of facial recognition technology is the rumored inclusion of this feature in an upcoming iPhone model and other contemporary phones. While Apple is notoriously tight-lipped about future products, it is widely expected that the next iPhone release will be announced on September 12, 2017, and will include facial recognition technology. Much of the current media excitement was fueled by a recent Korean News report stating, “The new facial recognition scanner with 3-D sensors can deeply sense a user’s face in the millionths of a second.” Many analysts are predicting that facial recognition software will supplant fingerprint sensing as the primary security biometric on most new smartphones. Can the Tech Live Up to Expectations? For this type of new feature to be successful, facial recognition technology has to tackle three important issues: accuracy, speed, and low-light performance. Of course, most importantly, the recognition has to work well. What good would facial recognition be if the algorithm never matched anyone (or matched everyone)? What good would facial recognition be if the algorithm never matched anyone (or matched everyone)? It is envisioned that facial recognition may be used to unlock a user’s phone and to even replace passwords and passcodes for, e.g., financial transactions, like Apple Pay, Google Wallet, Mobile Banking. With bank accounts and personal information protected being protected behind phone security, a failure in transitioning from authentication via “Touch ID” to relying on facial imaging could be very costly. Unlike searching through a large database of criminals or terrorists, the received data will only have to be compared with the facial profile for the device’s owner(s). The threshold of the correlation between the baseline facial scan data and a subsequent scan may determine how secure the technology has become. For instance, what if the facial recognition finds a match between the baseline scan and your twin brother, but refuses to recognize you after growing a beard? The upcoming products—and consumer reaction—will demonstrate if these new 3D sensors and algorithms can provide the necessary level of security. 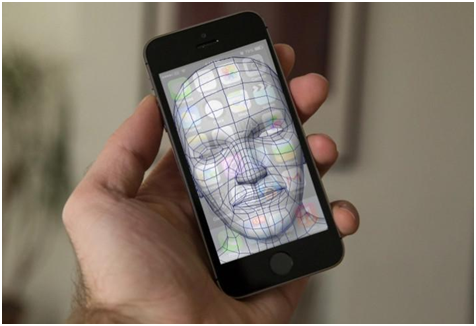 Since these 3D sensors utilize infrared energy, the devices should be able to perform their facial recognition even in the dark, allowing the user to unlock their phone in complete darkness. While cinema-goers may be disappointed, depending on visible light or even a flash is simply not a valid solution. Finally, recognition speed is an additional important factor in facial recognition. Bloomberg reports that users may be able to unlock their new iPhones “within a few hundred milliseconds,” which may make the feature appealing and encourage acceptance. Structured-light systems, as well as related patents, have been around for a while. One patent that may appear relevant, dated around 1998, discloses a “system for determining a three-dimensional profile of an object” using a light-source to project a structured light pattern on the object and an image-detecting device to detect a sequence of images. Much of the recent iPhone discussion has been a result of patents granted to Apple this year. 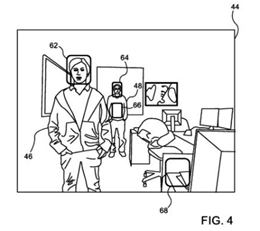 In one Apple patent, the specification describes a “method for face detection” using a depth sensor to capture three-dimensional data and a camera to capture a two-dimensional image of the scene. Of course, patents do not guarantee that the technology will be implemented in any upcoming devices. With facial recognition technology on the verge of widespread use in smartphones, it will have a significant impact on intellectual property as more companies seek to incorporate facial recognition into their own products. TechPats’ technical expertise and patent knowledge can help companies protect their intellectual property through our licensing support, patent mining, and patent monetization services. Learn more today!